On September 2, 2018, Solar Springs Retreat will close its doors after 35 years of pampering guests who came to the Southern Highlands health retreat in need of rejuvenation. New owners are set to transform the Bundanoon property into a luxury hotel in 2019 but in the meantime, Solar Springs is offering a midweek special from just $250 per person, per night, including meals and activities, giving guests a chance to say a final farewell to the idyllic, hillside guesthouse. The deal, reflecting a discount of 15 per cent, is valid for midweek (Sunday to Thursday) stays from August 26-31, 2018. No solo supplement is charged for the offer, meaning solo travellers pay the same rate, with rates starting at $250 per person, per night. 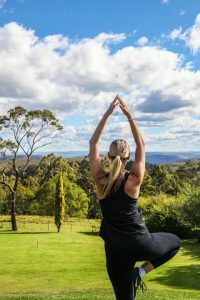 Located halfway between Sydney and Canberra, Solar Springs Retreat boasts lush gardens, acres of sprawling lawns, towering pines and views over Morton National Park. 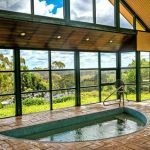 Activities such as bushwalking, cycling, tennis and archery are available and the retreat includes a gym, spa, sauna and a 25-metre indoor heated pool which looks out onto beautiful Southern Highlands scenery. The retreat is also known for its delicious gourmet food, which is included as part of the special offer. Solar Springs Retreat offers an excellent opportunity to escape the hustle and bustle of life and return home rested and refreshed. The closing special is valid for solo or twin-share accommodation for minimum two-night stays. All meals, activities and use of sporting and recreational facilities are included, while treatments are available at an additional cost. Conditions apply. To help guests relax, rooms at Solar Springs Health Retreat do not have televisions, phones or other multi-media gadgets and there is a no-talking ‘Quiet Room’ to help people unwind, read in peace or enjoy a nap. Solar Springs is just a five-minute walk from the small town of Bundanoon with its cafes, antique shops and historic buildings, while the Southern Highland’s various wineries, award-winning eateries, gardens, historic and natural attractions are just a short drive away.